Dear John Holdren: Where is our “Indispensable,” “Reliable,” “Affordable” Energy? America–and the world–need more carbon-based energy, not less. Wind and solar are inferior energies compared to the real thing that consumers choose and want more of–oil, gas, and coal. “Virtually all of the benefits that now seem necessary to the ‘American way’ have required vast amounts of energy. – Walton Hamilton and Helen Wright, The Case of Bituminous Coal (New York: Institute of Economics/Macmillan, 1926), p. 3. 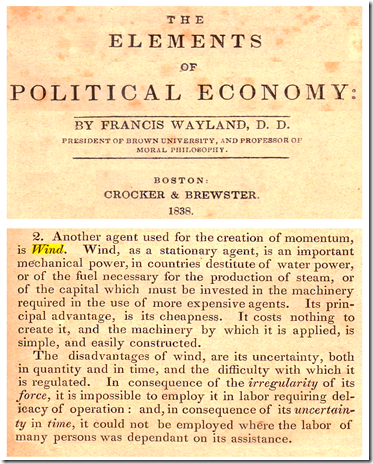 William Stanley Jevons’s The Coal Question (1865), the book that founded mineral economics, got it right on the limits of renewables for the machine age and the godsend of coal as a superabundant utilitarian energy source. 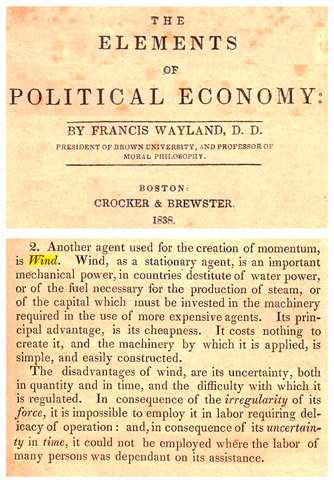 Previous posts at MasterResource have summarized Jevons’s 19th century wisdom on the primacy of coal (carbon-based energy); the limits of windpower; the limits of hydropower, biomass, and geothermal; and the paradox of energy efficiency.